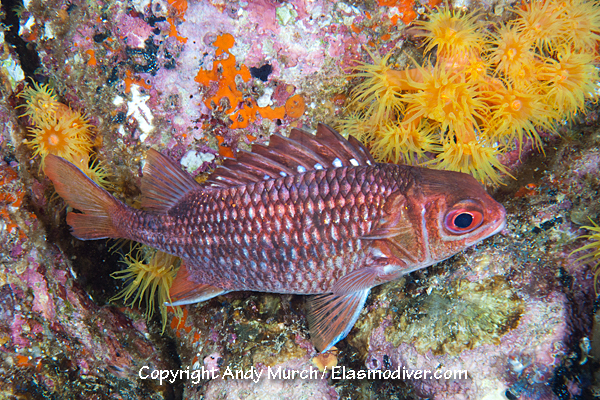 DESCRIPTION: The Tinsel Squirrelfish (Sargocentron suborbitalis) can be identified by its reflective, shimmering scales. RANGE: Sea of Cortez and Eastern Pacific Ocean. 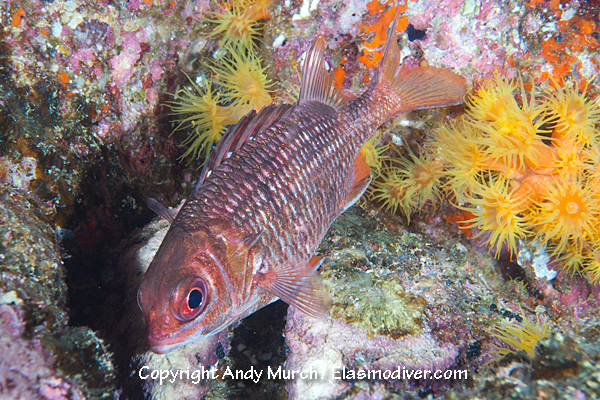 These Tinsel Squirrelfish pictures are available for commercial licensing. For further information regarding usage please e-mail Elasmodiver. All of the images on elasmodiver.com are copyright protected. No unauthorized use of these Tinsel Squirrelfish pictures is permitted. Please contact Elasmodiver for further information.